Note: I was brought out to Bentonville by Crystal Bridges Museum for a paid event. 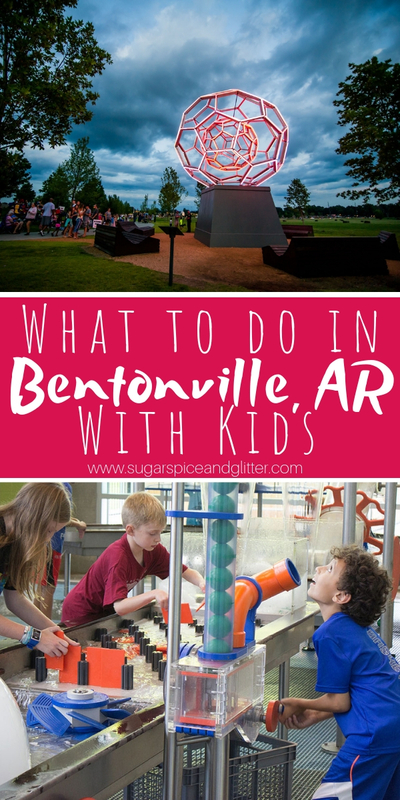 I was not asked to write this blog post or discover more of Bentonville to share – but I couldn’t help myself! 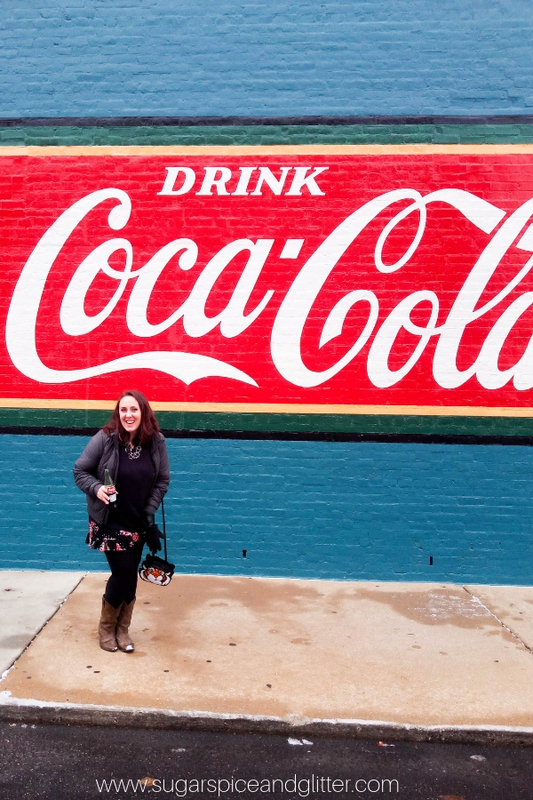 Bentonville, Arkansas may seem like a quiet, sleepy town but there is a youthful vibrance running through the city attracting artists, young families, and boutique businesses. As the home of Walmart, many companies that work alongside the brand have set up locations in the area, which sees those employees bringing their families along with them – and the desire for activities for their families to do. 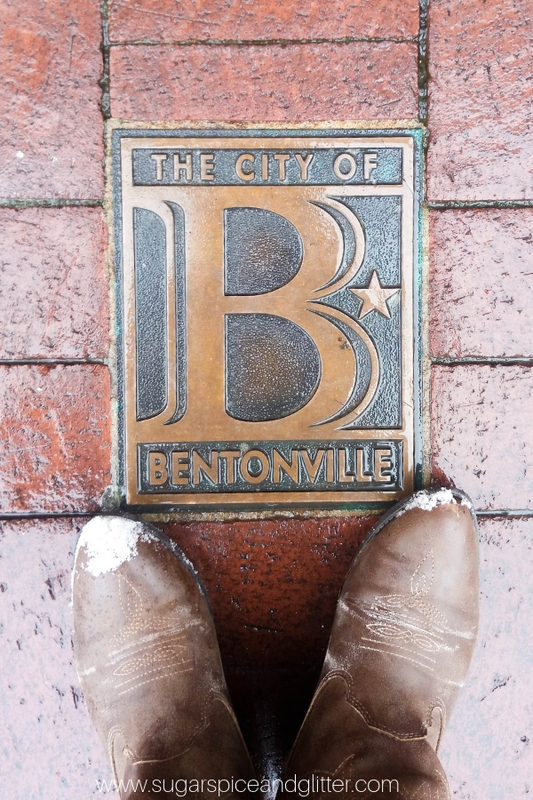 Whether you are headed to Bentonville for work or will be stopping in for a couple days while touring around Northwest Arkansas, you can confidently use this post to help plan your time. Something to note is that many businesses are closed on Sundays or have reduced business hours. It took about 25 minutes to get an Uber on Sunday, but less than 5 minutes every other day that I was there. I would also recommend visiting in Spring, Summer or Fall, if possible. I cannot say enough about this museum to really capture how worthwhile it was – though I did attempt to do so in my Crystal Bridges Museum review. This museum was thoughtful, inclusive and multilayered in it’s approach to art, community, and conversation. We were lucky enough to get a private tour by the curator before the museum opened and everything that I learned about how they interact with their community (including the artists that currently live in the surrounding area) was really inspirational. 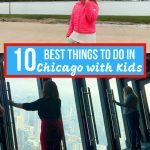 While some parts of the museum may not be as interesting for all kids, there are many exhibits and activities that make it worthwhile – their calendar has over 500 events and programs available, including many that are hands-on for kids. 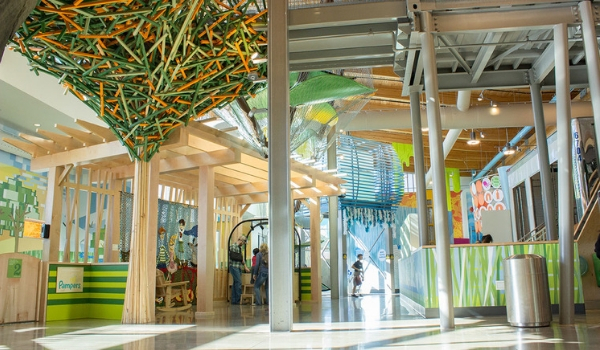 I love a good hands-on, interactive children’s museum and the Amazeum has some really smart and creative staff creating unique, one-of-a-kind STEAM exhibits for children and families to engage and learn from. 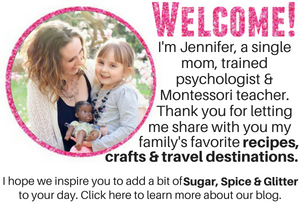 They are dedicated to sparking curiosity by exposing children to age-appropriate and fun ways to explore advanced concepts. The kids just think they are having a blast but really, they are learning. It’s all very Montessori. Read more about Amazeum here. This area is so cute and charming with boutique shops, instagrammable wall art, and several great stops for treats. The weekend that I visited the city had been hit by some unexpected ice so some businesses closed unexpectedly, but the stores that were open were really well-presented and unique. 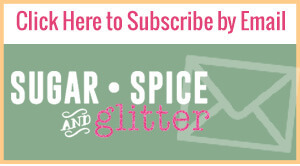 I scored some old-fashioned penny candy from the Walton 5 & 10, a sequin dress from LABEL, lots of unique spices and teas from The Spice & Tea Exchange and some macarons from Onyx Coffee Lab. There were several shops that I really wanted to check out and I can’t wait to return so I get a chance! A “Walk Through America’s Past” where children gain a glimpse into five different time periods that showcase the changing lives of Native Americans. This museum is celebrated for it’s artifacts which range from over 14,000 years old to historic times. There is a good mix of hands-on activities for kids and historical displays. In the teepee outside, children can search for arrowheads and even keep them as a special souvenir! I skipped this in favor of shopping but a few of the ladies that were on the trip with me did pop in and said that they were so inspired by the museum, which also features cute displays and links to both a classic five and dime store and a 50s-style ice cream parlour. Park Springs is a gorgeous hiking area where you can see some natural springs, have a picnic, or even a barbecue with their provided fireplaces. 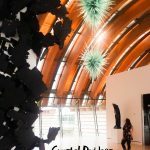 Crystal Bridges Museum has it’s own art walk which winds around the gorgeous nature surrounding the museum and brings you past several jaw-dropping installations and a Frank Lloyd Wright-designed home. Though Slaughter Pen Trail’s name may evoke some harrowing thoughts, it is a popular trail biking spot with some picturesque views. This immersive chocolate experience takes you from bean to bar – from actually sorting the beans all the way to packaging! After the tour and hands-on experience, you are led in a guided tasting of each of the Markham and Fitz chocolates and then you get to choose your favorite bar to take home. Read more about the Chocolate Tour here. There are quite a few pretty parks in and around Bentonville, but my picks for kids are Memorial Park with it’s Olympic-sized pool, ballfields, etc, and Lawrence Plaza which features an ice rink in the winter and a splashpad in the summer. The Peel Mansion is a 19th century farmstead that has been restored with artifacts, beautiful gardens, and a on-site pre-Civil War Andy Lynch log cabin. I loved things like this when I was a kid, but it may not be for every family. 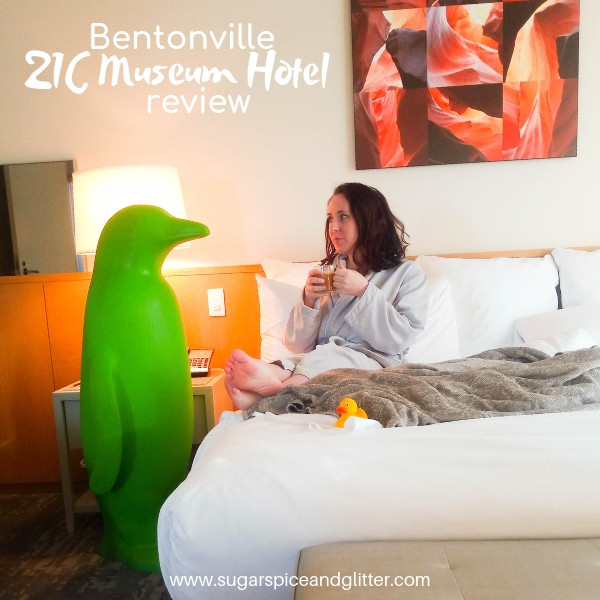 I love love loved the 21C Museum Hotel in Bentonville – I had never been to one of these boutique hotels, but I have now added all 8 of their locations to my travel bucket list and I can’t wait til they come to Chicago! 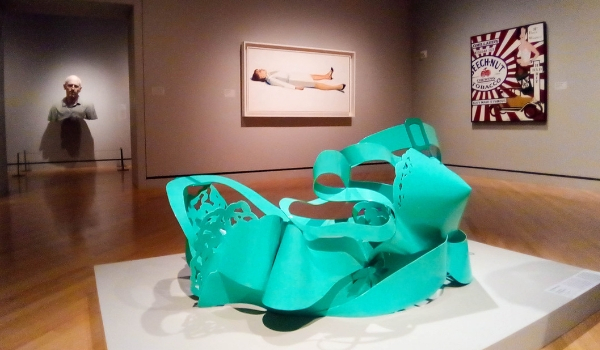 Check out my 21C Museum Hotel Bentonville review here. There are also many cute bed and breakfasts in the area – the Victoria has great reviews. 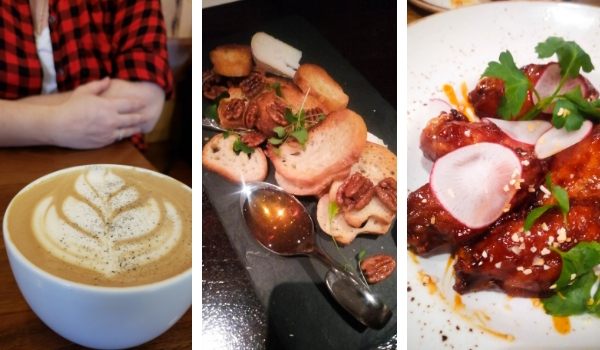 There are so many worthwhile restaurants in the Bentonville area, and I’m really sad that I didn’t get to eat at more of them – yet! There is also a thriving food truck community in Bentonville that is worth seeking out, and another reminder to check out the super cute Walmart ice cream parlour on Bentonville Square that must be visited if you are travelling with children. I also highly recommend if you are staying in Bentonville to make a day trip out to Fayetteville to check out Mount Sequoyah and Davis Street – two of the highlights of the city for sure. 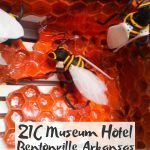 If your trip will also have you heading to Eureka Springs, Arkansas check out this post from Christobel Travel. 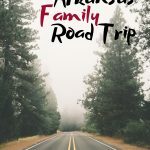 I also sought out things to do all over Arkansas if you plan to see more of the state with my Ultimate Arkansas Family Road Trip post. Bentonville is a charming, family-friendly town with true Southern hospitality. From the foodie restaurants, thriving artist community, and upbeat vibe of the whole town, it is definitely worthwhile to spend a couple days soaking up the city. 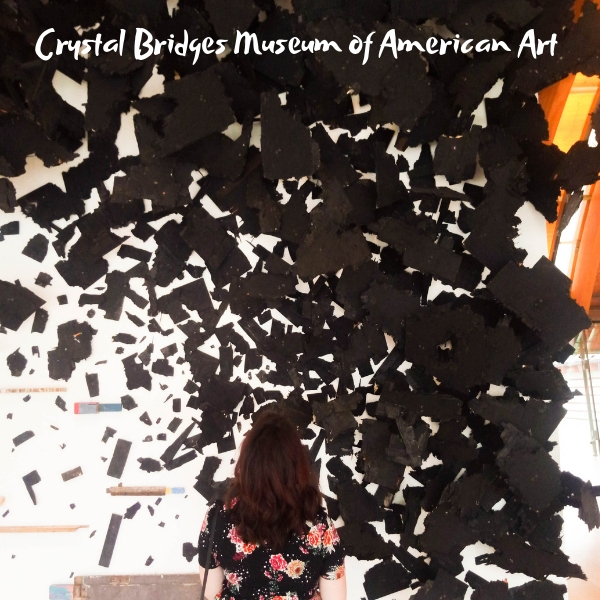 For more resources on planning your Bentonville, Arkansas vacation, check out our Crystal Bridges Museum Review and our 21C Museum Hotel review. The walls were so great in the town square.